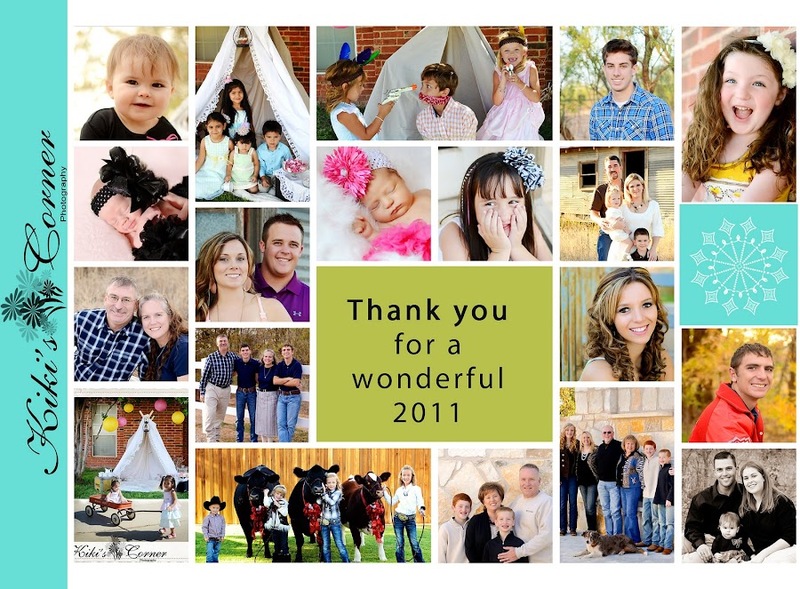 ...on the blessings and joys of 2011 and thanking God for His daily faithfulness! Yes, He has been so faithful, even when I wasn't, what amazing Love! We celebrated Rachel's high school graduation, Hannah's basketball team's district championship, three generations travelled to the Holy Land together, and tearfully said our goodbyes as we took Rachel to her first semester of college. I've learned once again that God is more than enough....more than enough to hold us all in the very palm of His hands, even when we are not living under the same roof. But, I am so thankful that she is home for Christmas break! I sleep so much better when everyone is home. 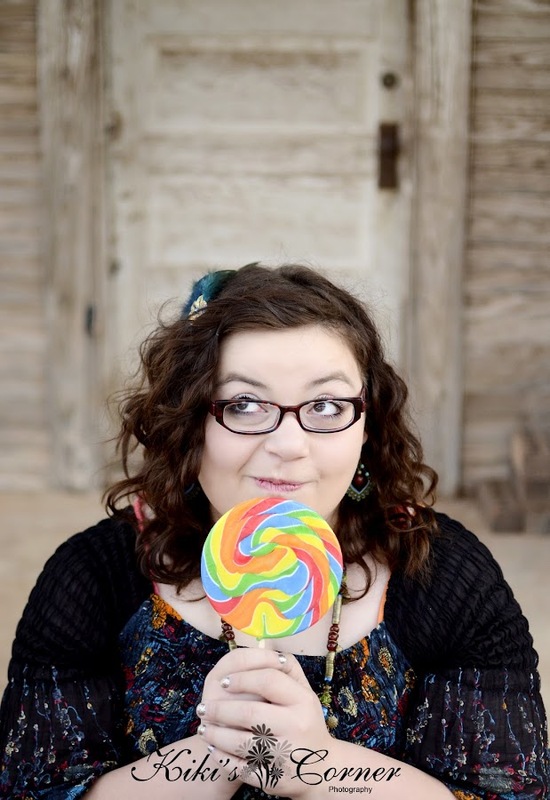 Hannah started her freshman year in high school....two freshman daughters-one in college, and one in high school. Be still my heart! Mr. Incredible and I celebrated 21 years of marriage. I have now officially been married half my life. Wow! I learned what it means to say goodbye to my last living grandparent on earth this summer. I just know Grandmother has had the sweetest heavenly reunion with my grandpa and thought about the Christmas celebration she is having this year. I learned what it means to trust God once again, even when things are not going according to my plans and to trust Him even when it hurts so much that you can hardly breathe! He is faithful...even in spite of me. I could go on and on about the many lessons and blessings learned and gained this year. I'm thankful that God still has work for me to do here and for the greatest joy in being a wife and momma. I'm thankful for my high school students and parents and the teachers and staff that I am blessed to work with. 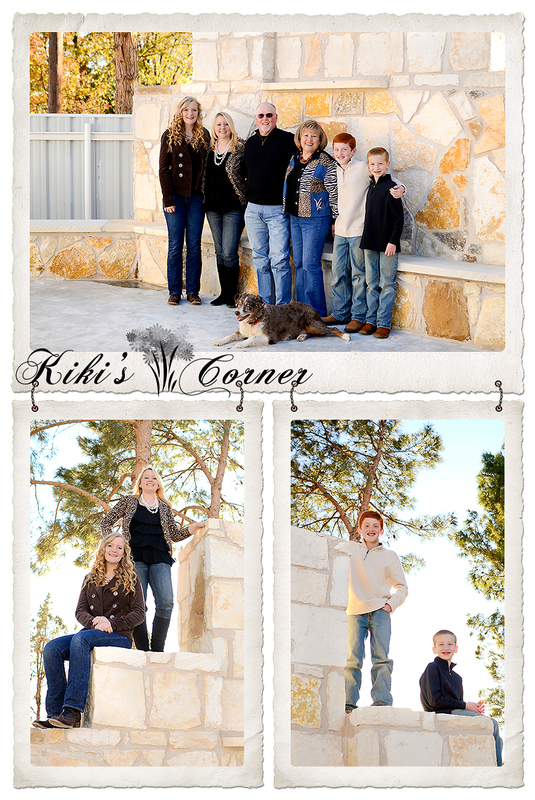 And I am thankful for my photography business and clients and the joy this adventure with the Lord brings. 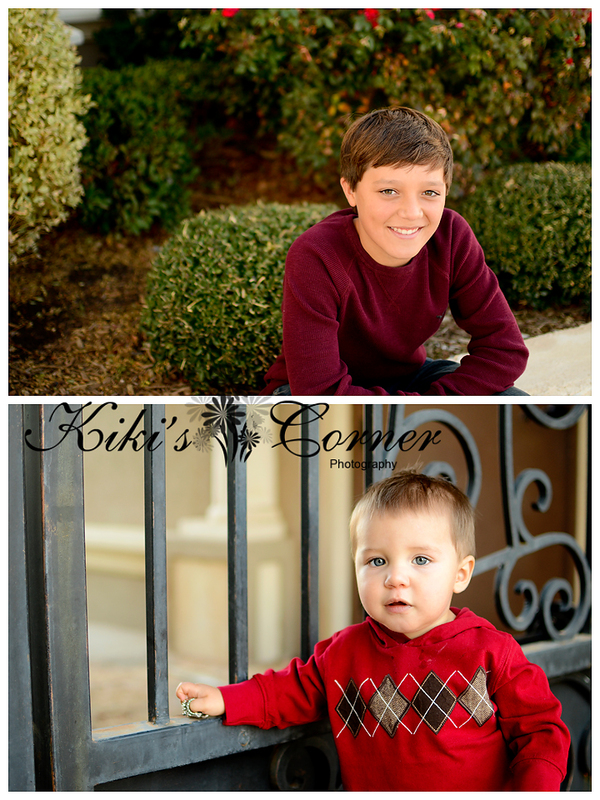 It is still amazing to me that so many precious clients choose me to capture their memories. I don't take this blessing for granted. There are many photographers to choose from these days and I feel so honored when they choose me. I absolutely fall in love with all of my clients. It is a joy to capture their love for each other...from the newest, fresh from Heaven babies to the couples who are still so deeply in love after so many years together~thank you from my heart! May each one you have a blessed new year! Yes! The day I have been waiting for since August 23rd is FINALLY here! My Rachel comes home from college! Absolute delight!!! I am so looking forward to re-watching all the Christmas Hallmark movies (I've recorded so many for her), Starbucks runs, lots of giggles, getting caught up, sitting all together in church again, doing our annual Christmas lights tour, baking together, crafting together, staying in our pajamas until noon just for fun, and hearing the sweet noises of sisterhood reunited once again. My heart is filled to overflowing. On August 23rd, I wasn't sure that I could make it until Christmas break but once again the Faithful One somehow made the time go by so quickly. I'm just praying that Christmas break won't go by quite as quickly as her first fall semester in college! Welcome home sweet Rachel; we have missed you! 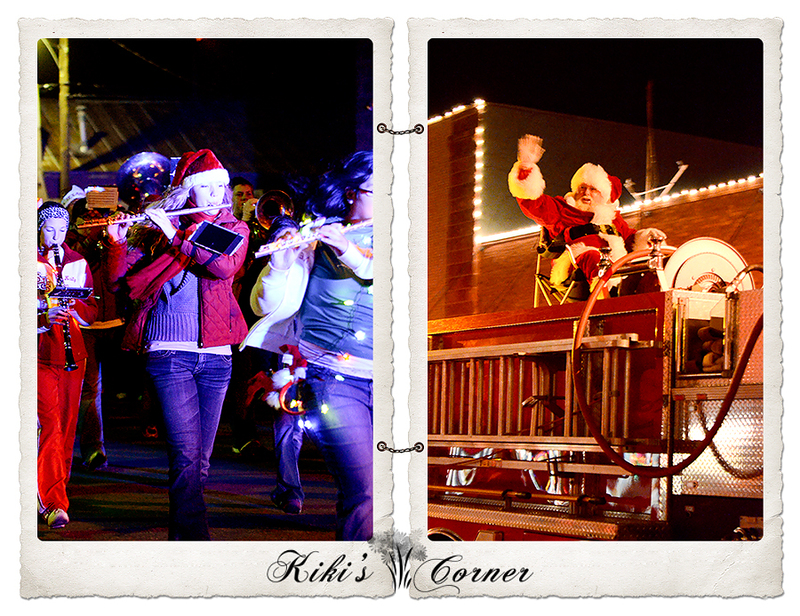 Our town hosts an annual Christmas Parade complete with floats, firetrucks, tractors, horses, the high school band, and even Santa makes an appearance. This year, the weather changed and it was COLD! As always, it was fun to meet up with family and friends downtown to watch the parade. This was Hannah's first Christmas parade to march with the high school band. She looked so cute in her Santa hat playing the flute. Pretty soon, after the band came Santa! It was so fun to watch all the little ones as their eyes lit up when they saw him. This horse and buggy were new to the parade this year and a big hit! Do you have lighted tractors in your Christmas parades. We do and they are always fun to see. A fun Christmas tradition for our town. 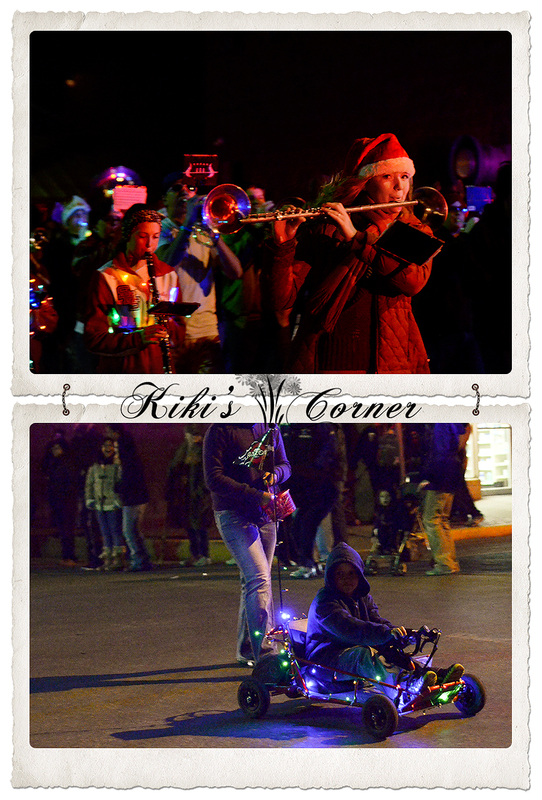 Do you have a Christmas parade where you live? It's the most wonderful time of the year! Yes, it is Christmas time, but it's also Hoop time! Woo-hoo. Hoop, there it is, hoop there it is....anyone else singing that song now too?! 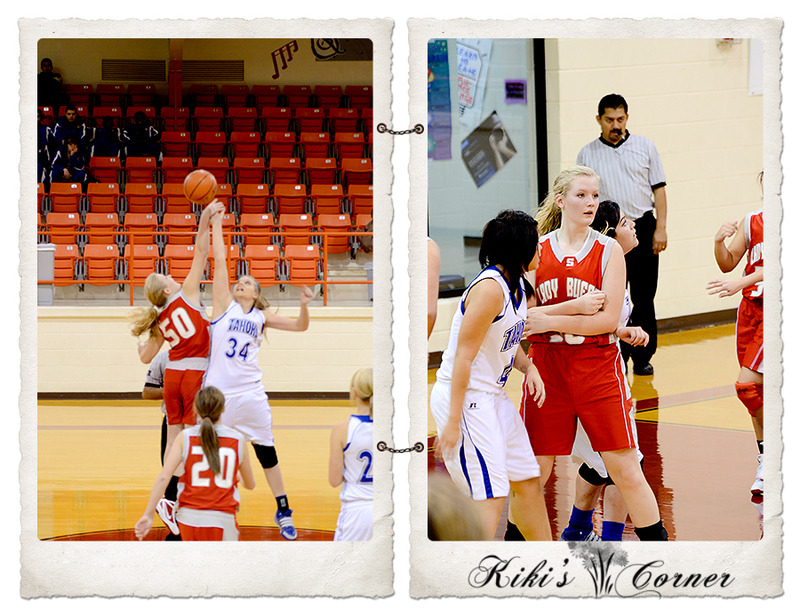 Our baby girl and her JV team got to play in our town's infamous Hoop tournament. Meaning, they got to play some really great varsity teams. 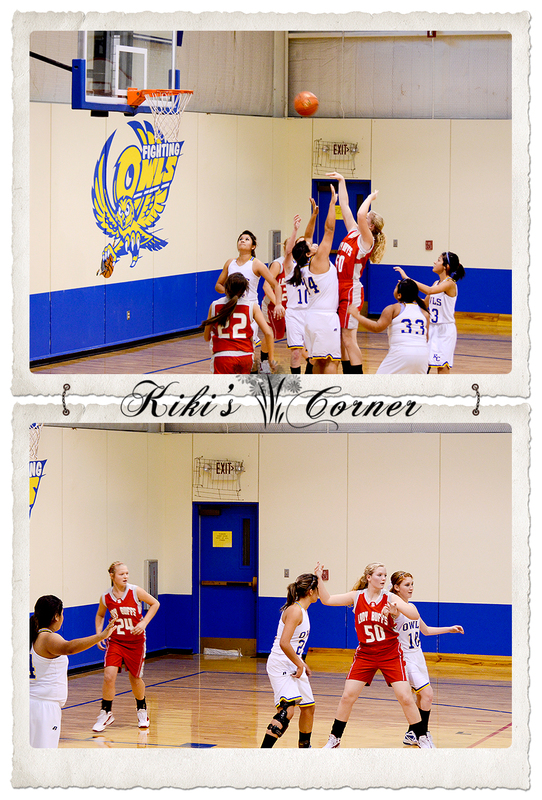 Varsity games are faster and full of excitement and it was fun to watch our baby girl rise to the occassion. True, she got hit in the jaw and broke a tooth, but a trip to our local dentist and she is as good as new. No, it wasn't one of her front teeth, praise the Lord. Three games in three days~delight. No, they didn't win the tournament but they gained some valuable experience in the process and that was fun to watch. I've been super swamped with photography sessions, edits, custom designed cards, ordering, and packaging that I am way behind on posting pictures of Hannah playing basketball. So, in hopes of getting somewhat caught up, here are some images of our baby girl hoop-ing it up! This team was fierce and the girl Hannah was jumping against was tall and tough. Hannah jumped higher than I've seen her jump. This was a different game-I believe our girls won 45-15! Hannah had 8 points in this game and 4 steals! 4 Steals! Woo hoo! I lost track of the rebounds. Back to the tournament and playing varsity teams. I like Hannah's fierce look on her face as she tried to block a shot. She was focused! Hannah and her team have a game tonight and another game Friday afternoon. I love having two games a week. Basketball season is here to stay. Yippee! My man and I were so excited to when it was announced that Baylor's RG3 won the Heisman!!! What a thrill and an honor for Baylor Nation. Robert Griffin III was well spoken and gracious when he received the coveted award and honor....and we loved his superman socks! 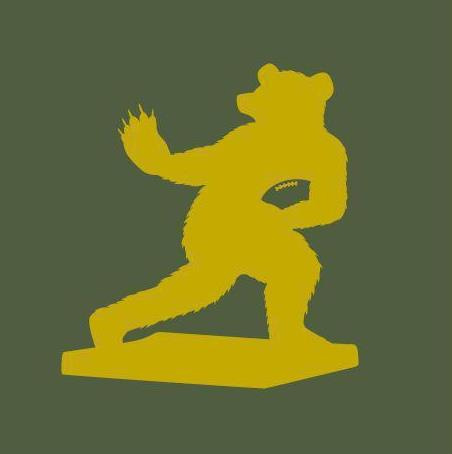 Sic 'em Bears! Monday night in Las Vegas, we were blessed to attend the National Finals Rodeo. I've only watched it on tv nearly every year, but never in person. I was so excited and giddy about being there with my man. We were blessed with amazing tickets and that's pretty much when I was aching for my camera and super-duper long lens. We were on the 12th row, but I wanted to see the eyeballs of the horses who were more than ready to chase those cows and the bulls who were anxious to buck the cowboys off their backs. Oh, it was so fun to be there! 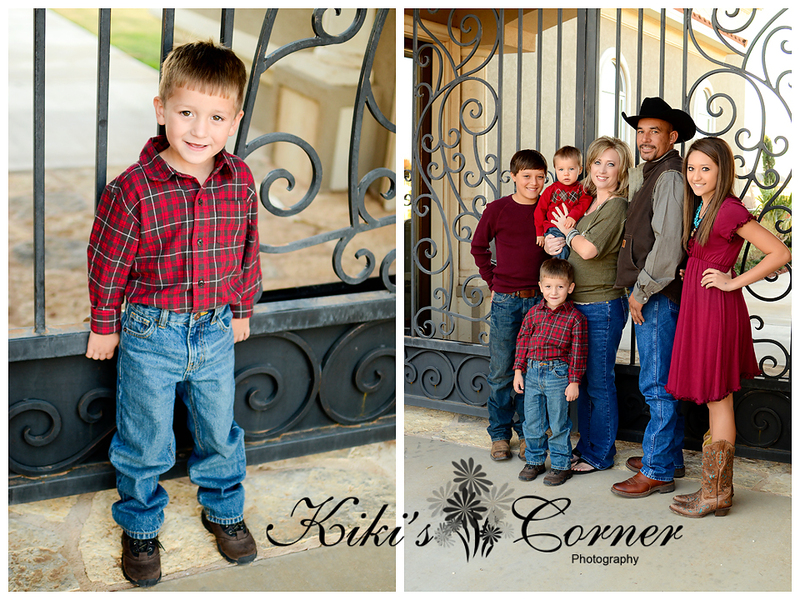 Surrounded by cowboys, I fell head over heals in love! Not with a cowboy, with a cowboy's rockin' camera lense. I was on the edge of my seat glancing at a lense from a distance, this lense was as long as my arm and as wide as my whole head. I was dreaming about what kind of shots this cowboy photographer was getting when my man laughed out loud. I looked at him and asked what was so funny. He said, you are really into this aren't you? But, you are missing all the action, because you keep staring at that lense. Ha! Does my man know me well or what?! Before we got there, my man took me shopping and we found the cutest pair of new boots for me. The cutest cowboy in Las Vegas, we wish Hannah were with us, helped me pick these out and try them on. Have you tried on pair of cowboy boots lately? They fit like a glove. Delight! I had fun wearing these to the NFR, I felt a little cowgirl-ified. It was fun! This angle cracks me up, it makes it look like I wear a size 30 or something-for the record, I wear an 8 1/2 or a 9 (my husband use to think that I wear a 10 like him-I'll have to share that funny story another day). I snapped this picture to text it to my girls for their approval. I got an awesome from them both and headed to the check out. Do you wear cowgirl boots? My husband's annual business trip to Las Vegas was this past weekend. We got up at the early hour of 3:30 AM to get ready to make the two hour drive to the airport (we flew out of another city because Hannah would be playing a basketball game on the Tuesday we flew back home and this momma is not missing a game if I can help it). We arrived on time to catch our flight. We flew out at 8:00 Texas time and arrived at 9:30 Las Vegas time...and I was tired! Lots of people were in Las Vegas this weekend too. There was the National Finals Rodeo, a Country Music Awards, and a marathon run through the strip where 44,000 people ran 27 miles....I'm tired just typing that. Wow! We watched the marathon while we ate a steak dinner~something is so wrong about that last sentence! While we made our way around town and did some shopping, Mr. Incredible and I stumbled across this site. 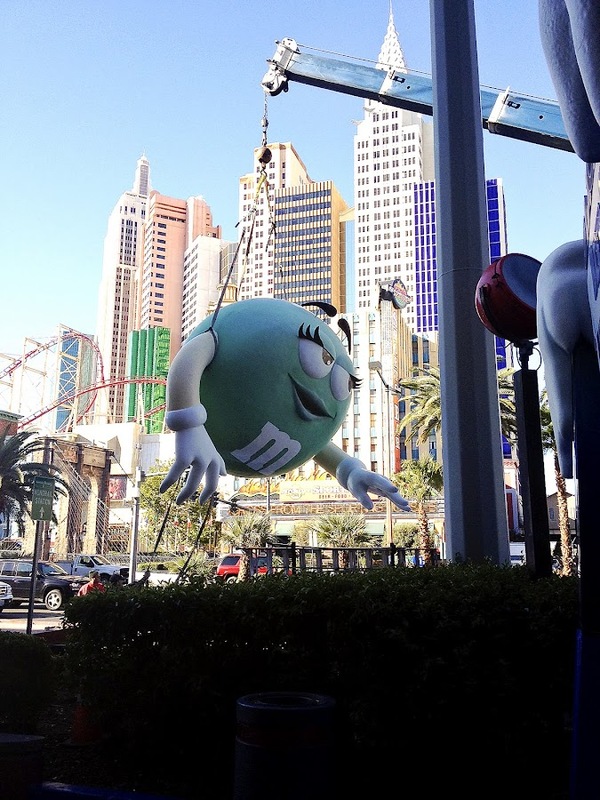 Poor Green M was on a crane. I purposefully left my camera at home, I was trying to relax, and wouldn't you know, I saw about a thousand awesome photo opportunities. I snapped this one with my Iphone, please excuse the grainy-ness of this photo. I'm not sure what they were doing with her or where she was going but I think this photo begs for a caption. Any ideas? 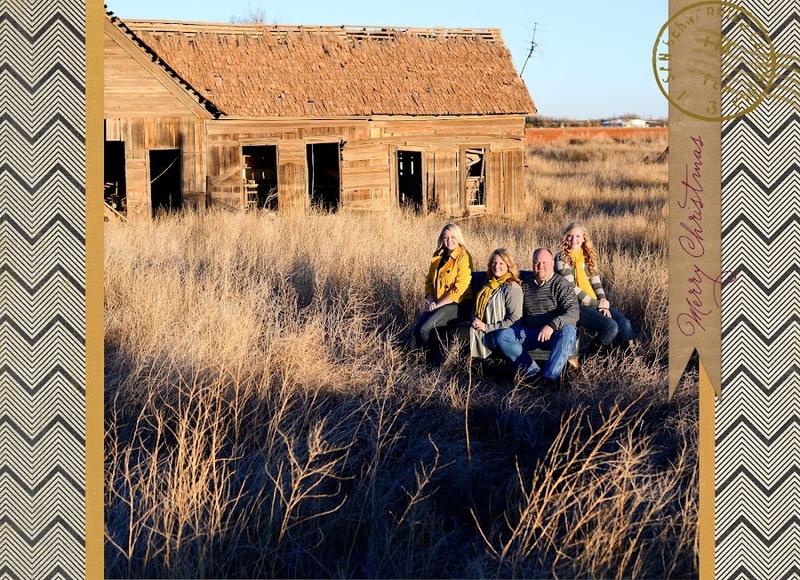 After all of the fun in designing Christmas cards, albums, Gallery Canvas displays, and prints for my amazing clients that I am so blessed to photograph, it was time for my family's photo shoot. Rachel was home from college and the weather was perfect. I was so excited! Wanna see it a little closer? I know! It makes me giggle every time I see it. I may just have to have a standout of this image made just for myself~a little Merry Christmas to me. 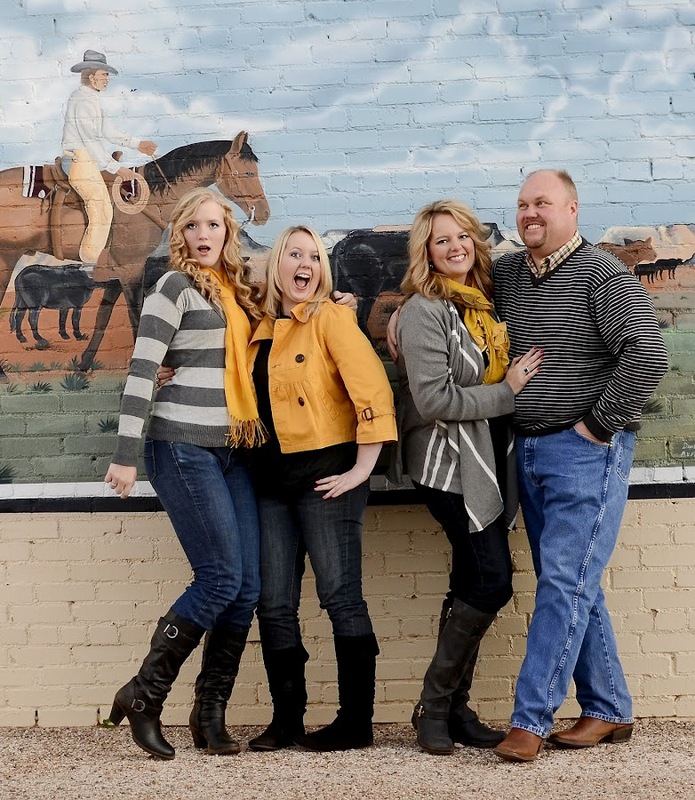 My family gave me other shots too, but this one still makes me giggle. No, it won't grace the front of our Christmas card...but I'll let you in on a little secret....I put it on the back of our card. Ha! 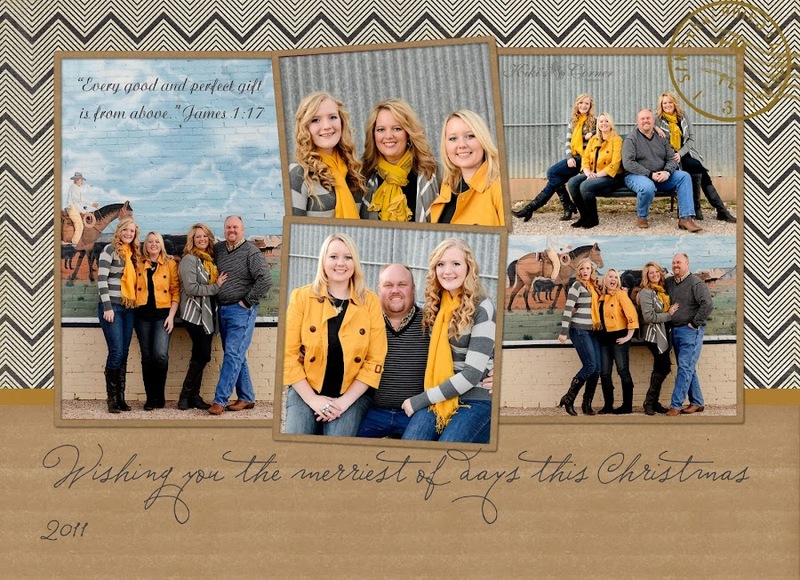 Did you do a family photo shoot for your Christmas cards? I would love to see your pics...or in my case the out takes. 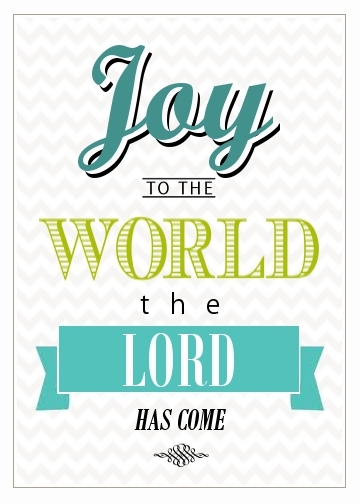 Have a blessed and joy-filled day! 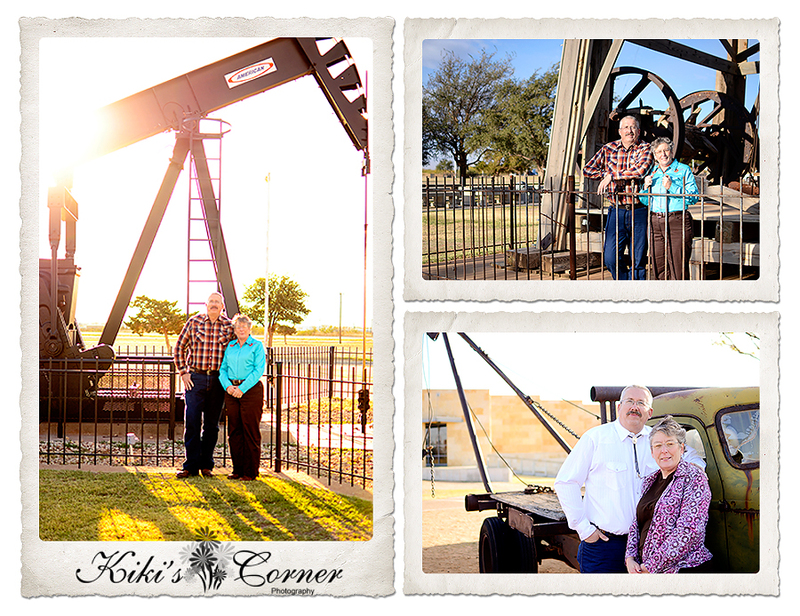 This weekend my husband's parents, Nonnie and Poppie, asked our family and his sister's family to come over for a family photo shoot. 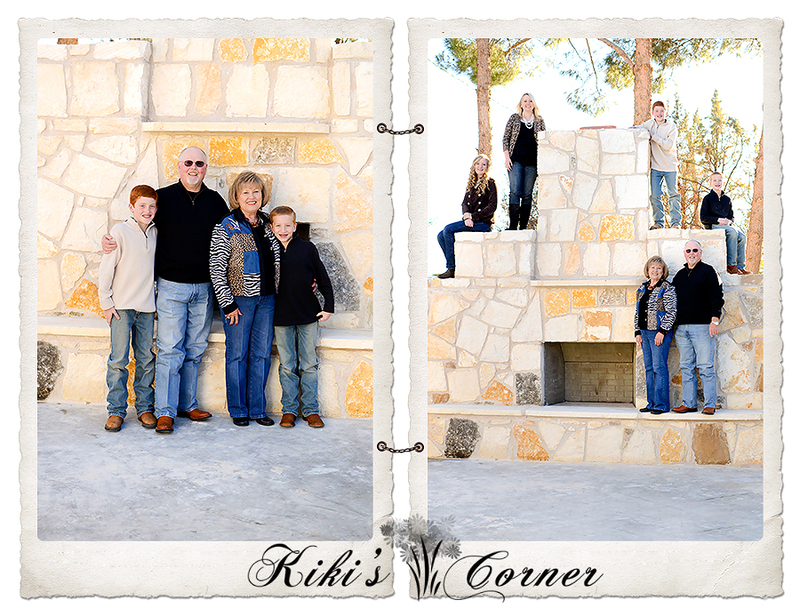 Their beautiful new outdoor fire place was finished just in time and seemed the perfect location for photos. Even Jack the dog joined us for a few. 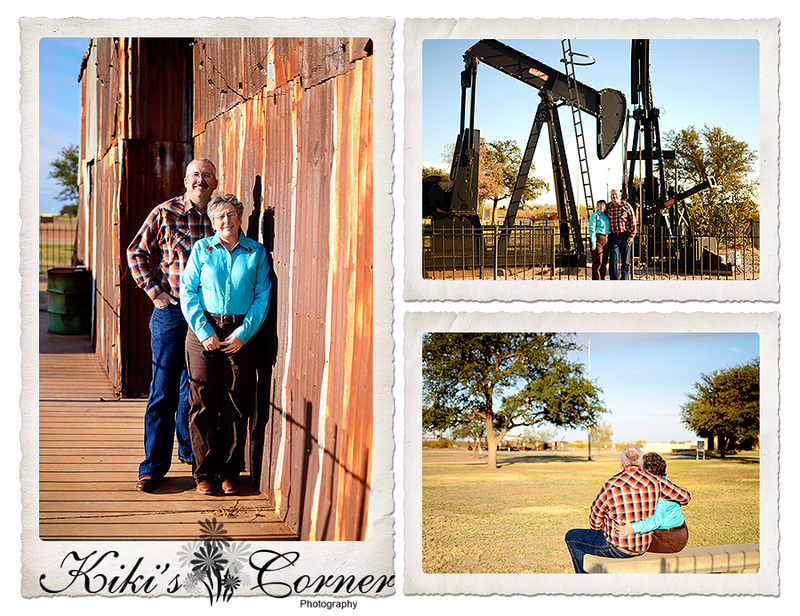 We had a lot of fun taking pictures and trying to guess when my remote trigger would work. And all of us in the next picture below~we are all smiling and all of our eyes are open! Delight! Pictured left to right are: Mr. Incredible (my man of 21 years), Me (did you recognize me? ), Hannah (our baby), Rachel (our daughter that ya'll prayed for and is now in college), Poppie, Nonnie, AA (we often call him our Lieb), Aunt Sissie (Mr. Incredible's sister-I accidentally typed sitter-that's funny! ), A, and Uncle G.
At the beginning of this school year, I had a "That's My Senior" contest. So many voted and it really came down to the last second....and Eva was the winner with the most votes. We have been counting the days until her Senior Photo Shoot. We got in a lot of locations during her photo shoot. 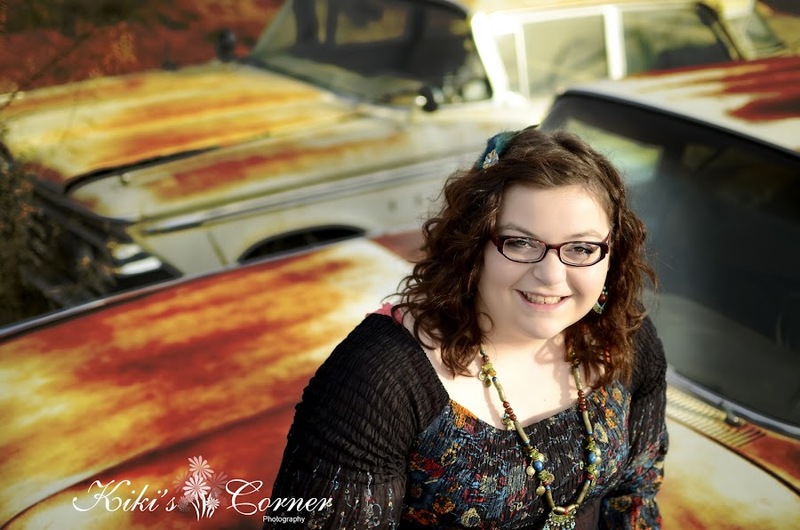 Eva is beautiful inside and out and I am proud to be called her Senior Photographer as well as her teacher. 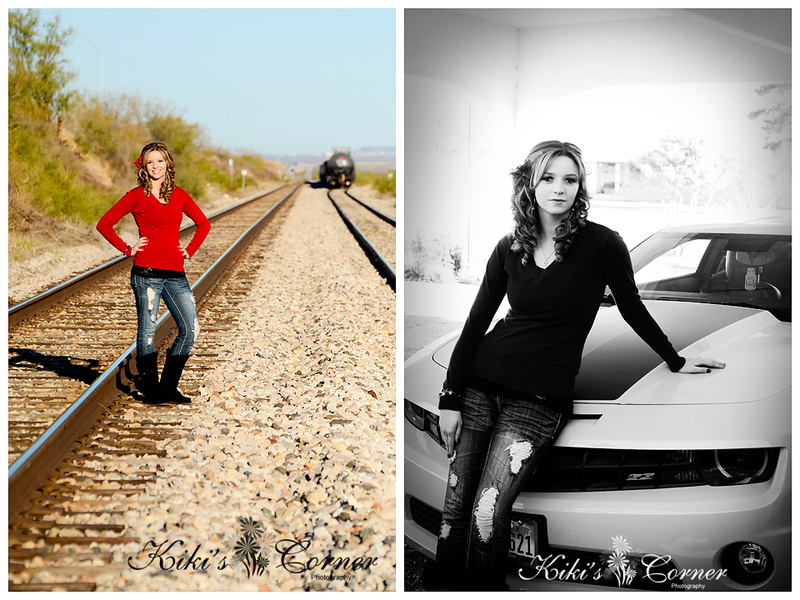 Eva, enjoy your Sneak Peek and have a blessed Senior Year! This past weekend I had the blessing of photographing this sweet couple who will be celebrating their 30th wedding anniversary this summer! As usual, I arrived early to scope out the lighting and this sweet couple did too. I am so thankful that they did. We were only able to shoot about 45 minutes before a ginormous wind storm arrived. 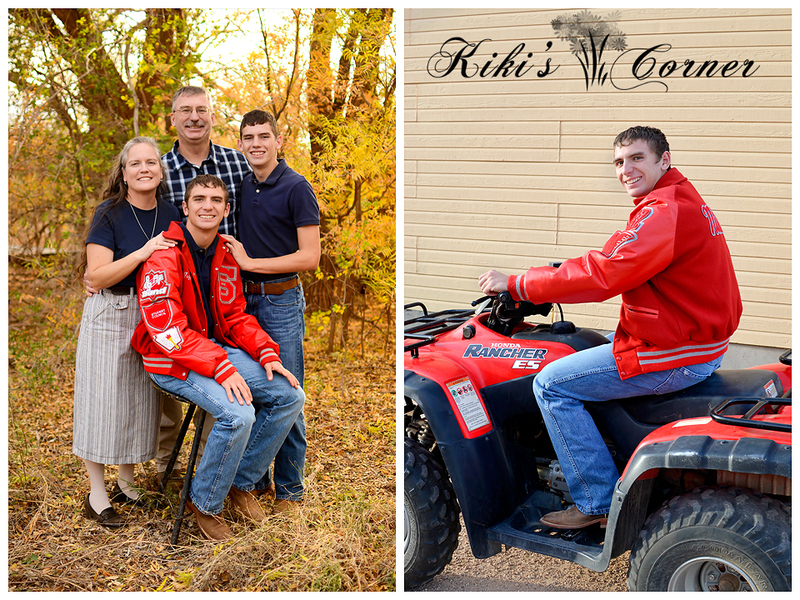 The oldest son of the sweet "N" famiy is a senior this year! Typing those words takes me back to what seems like yesterday when Rachel was enjoying her senior year. 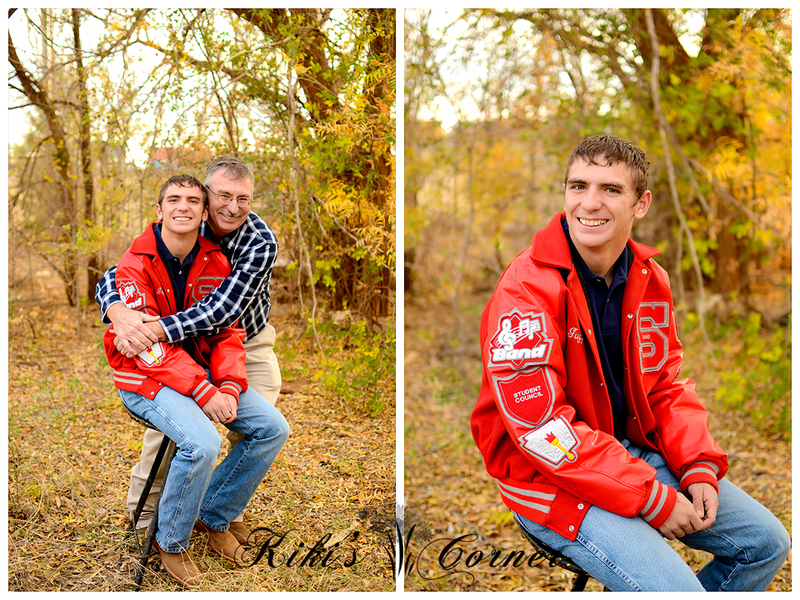 We decided to take a few senior pictures with Jacob's letter jacket and I am so thankful that we did... the colors of fall really make his jacket stand out in these images. 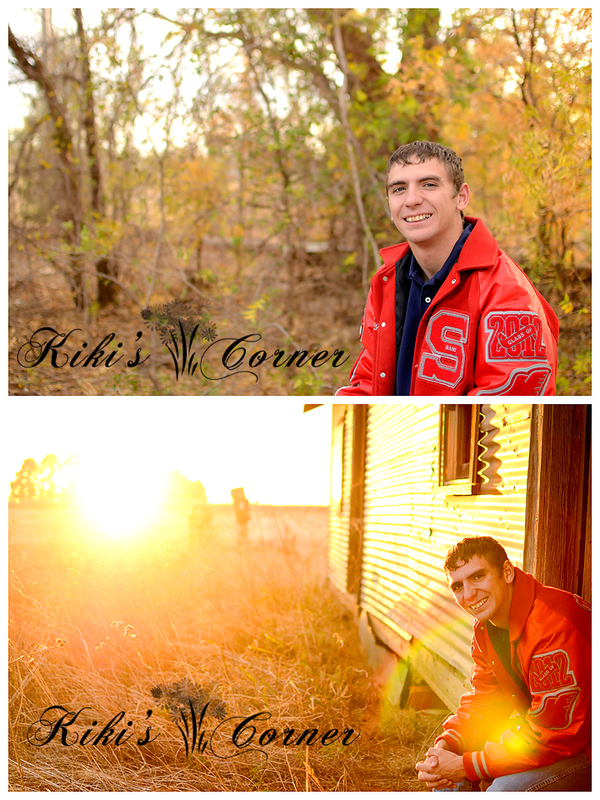 Jacob, I pray that you have the most wonderful senior year! 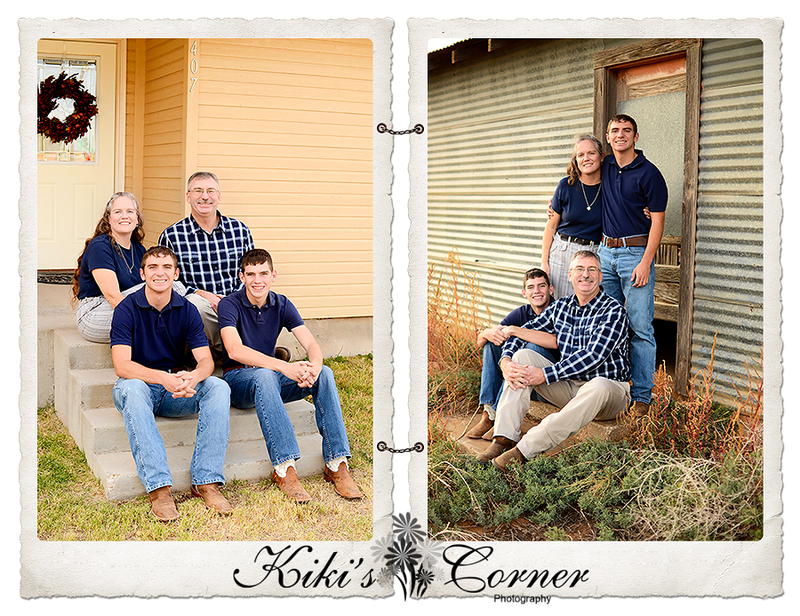 This past Saturday evening, I had the absolute blessing of photographing the "N" family. Mr. and Mrs. "N" are two of the finest teachers in our school district and they are raising two of the finest young men in our school district as well. I have had the privilege of having both of their sons in my computer classes. 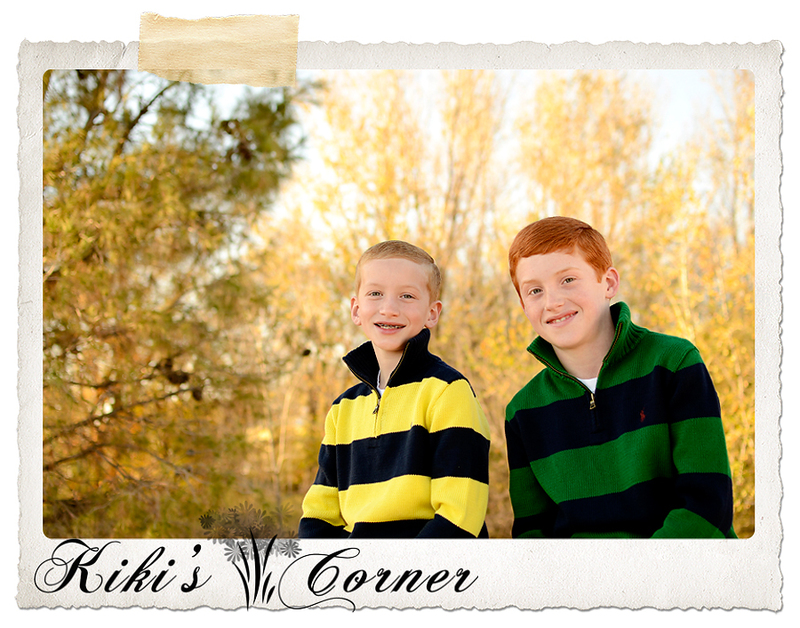 They are incredible young men inside and out. I could have spent hours with this family. Their love for each other shines so brightly and they are crazy fun to be around too. 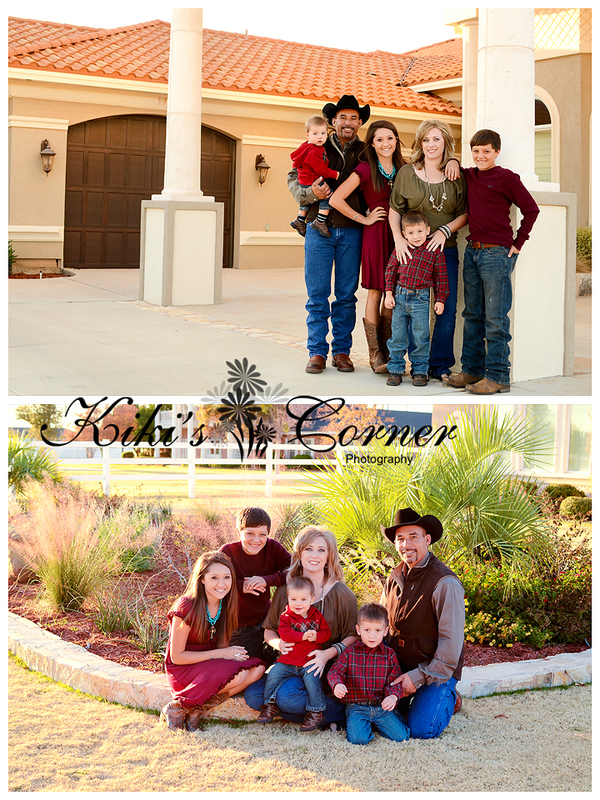 "N" family, thank you for the blessing of getting to capture your family photos. I hope that you enjoy your Sneak Peek. 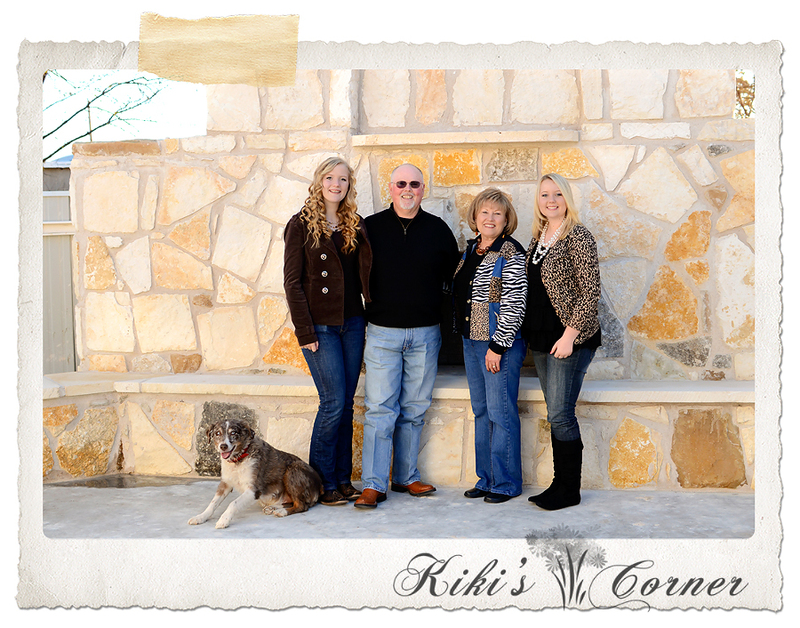 My photo sessions for 2011 are quickly winding down. 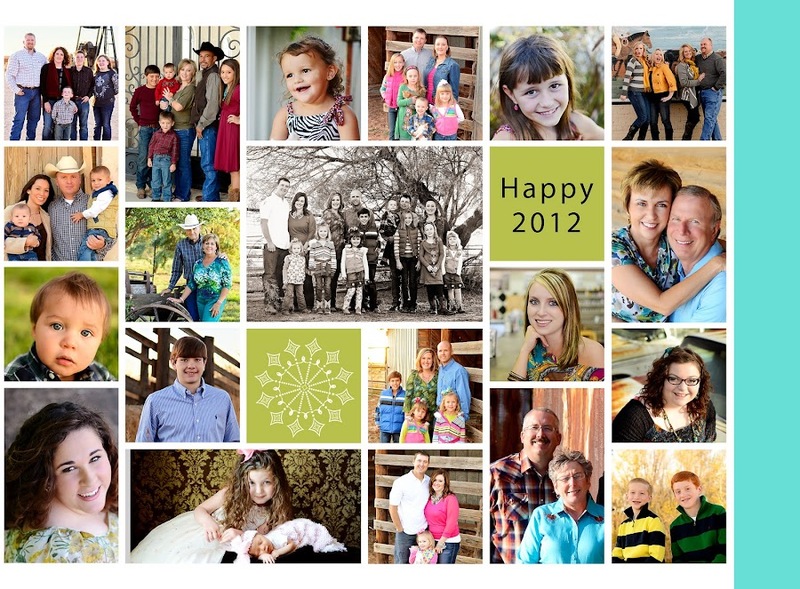 I am filling orders and designing custom Christmas cards, albums, canvas, and standouts like crazy. My sweet sister-in-law patiently waited for a break in my crazy busy schedule so that I could photograph my favorite nephews. We couldn't have asked for a better day. I absolutely love the colors of fall. 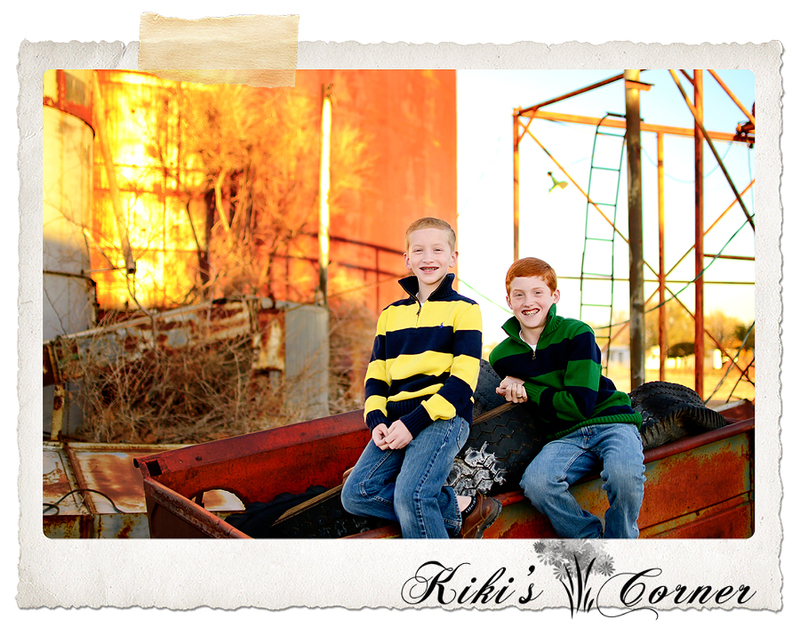 My nephews were so much fun and willing to go anywhere...even braving a few ant beds. I was confident that if any fire ants were around, they would find me and not them. 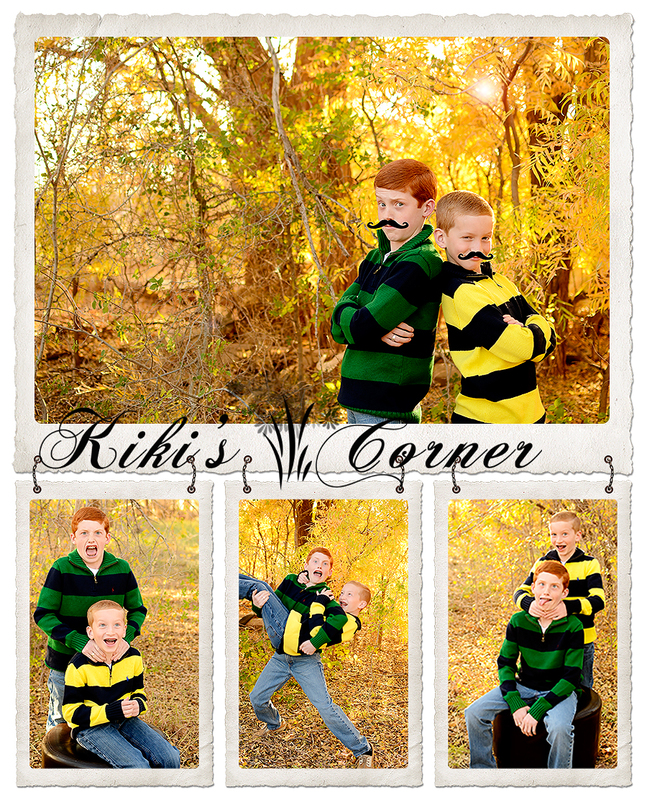 Thankfully, the fire ants didn't make an appearance in this photo shoot after all. But then I look at this one and think to myself, "This is my favorite!" 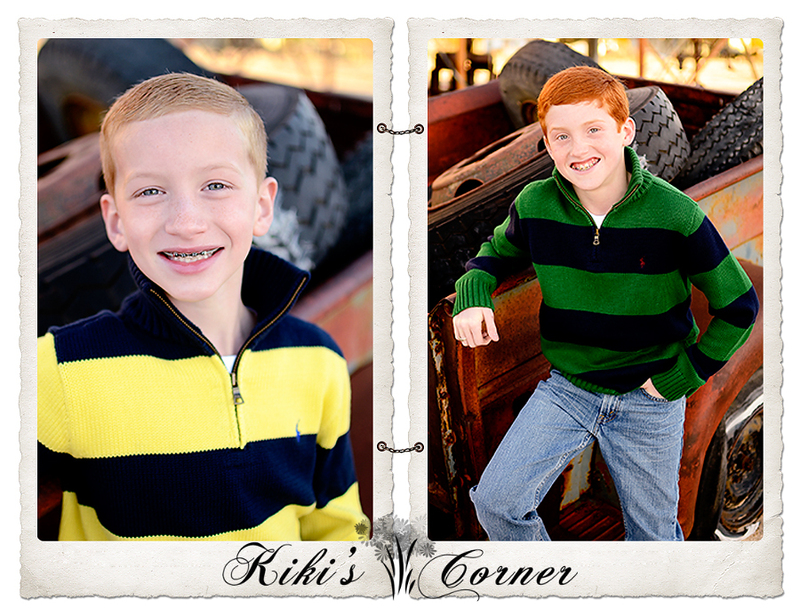 I'm so thankful that it is their momma that has to decide and not their Aunt Kiki. And today really is my birthday! 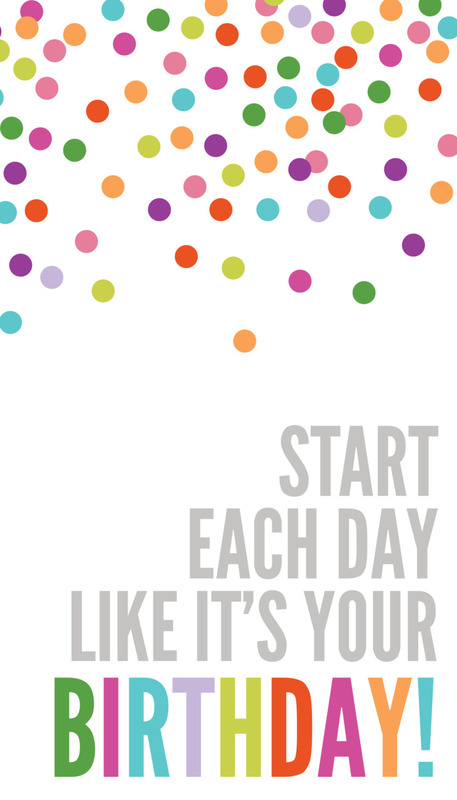 I saw this advertisement above from Kate Spade and thought it was cute and a great way to live...although the best way to live is to start each day with the King of kings and Lord of lords and to try to live for His purpose, His plans, and His delight. Oh, it's not easy...the more birthdays that I have, the harder it seems to get some days. Can anyone relate? 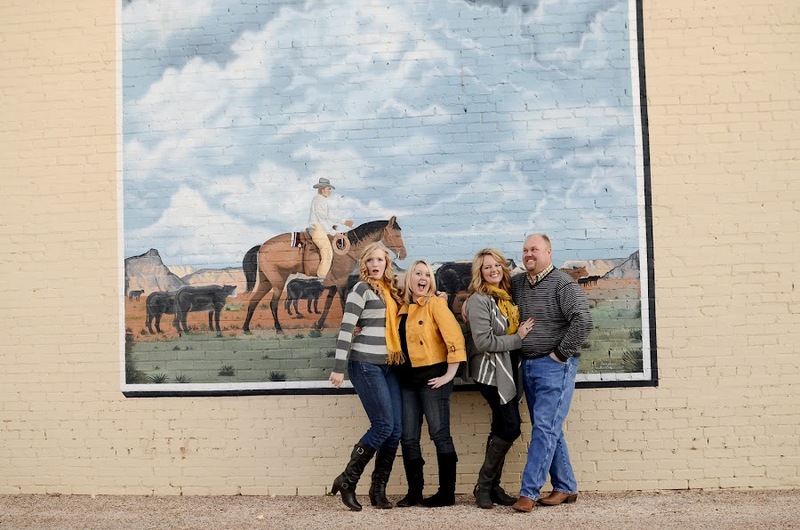 I'm thankful for His plans, His love, His compassion, His patience, His mercy, and His grace, do-overs, second chances, forgiveness, and that He blessed me with the absolute best parents in the world, the most incredible husband and in-laws, and my girls....oh my girls, there are no greater treasures next to Jesus. This is that wonderful busy time of year for me as a photographer. 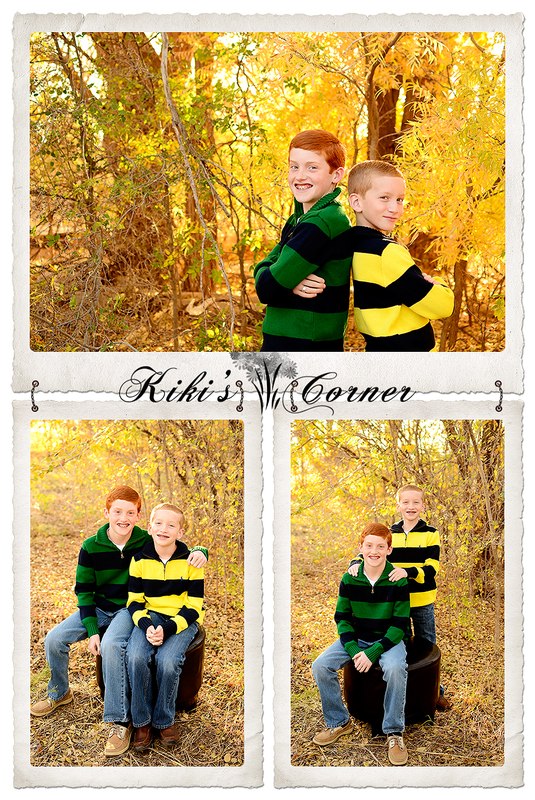 The last several weeks have been flooded with photo sessions, late night edits, and designing lots of custom Christmas cards and filling orders. 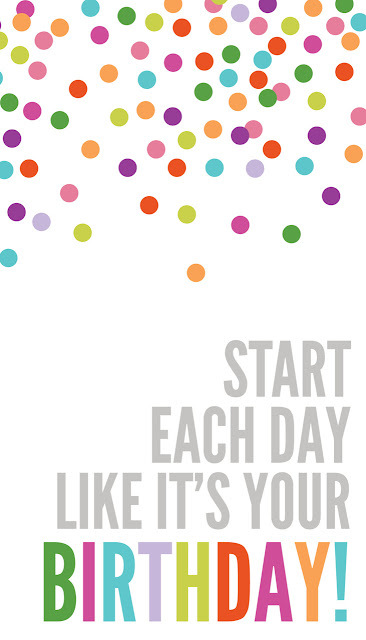 And I have loved every minute of it...but I am starting to see the light at the end of the tunnel. 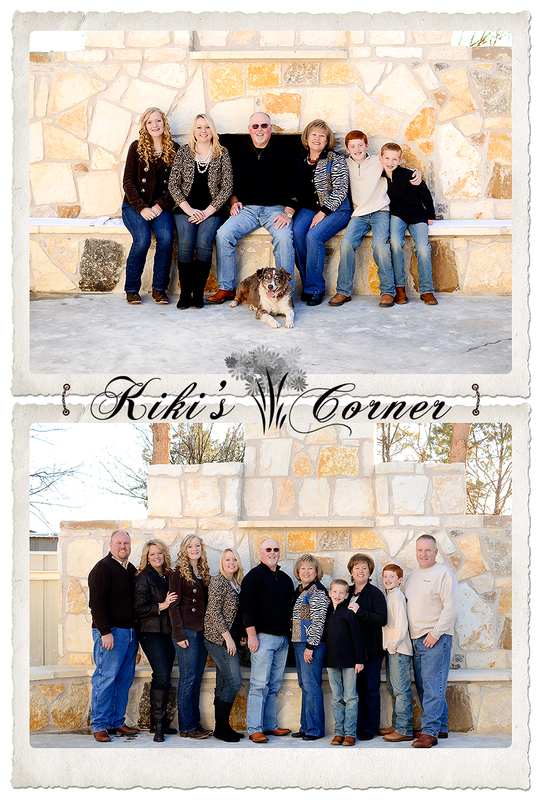 My last day to place orders for my clients is November 26th and then Kiki's Corner Photography will be closed until January 2nd so that I can spend Christmas with my family. 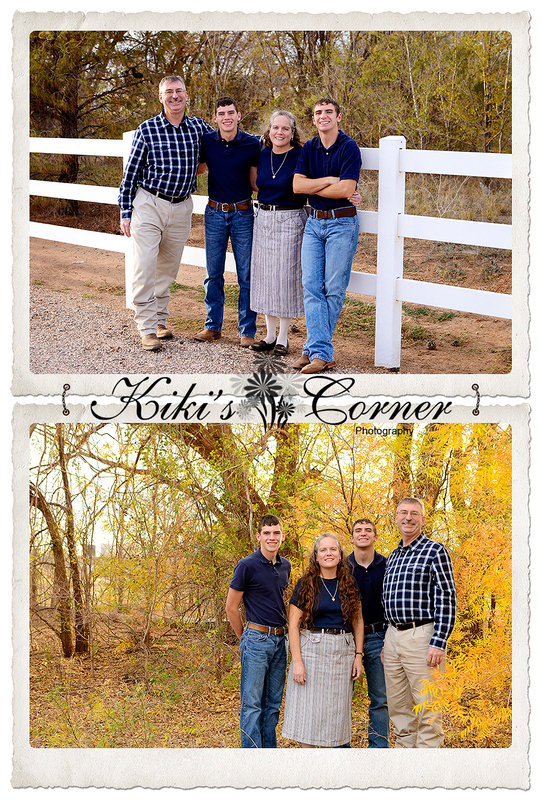 That evening I had another photo shoot of a sweet family, but I can't post pictures until after Christmas~they are a sweet surprise for family members. 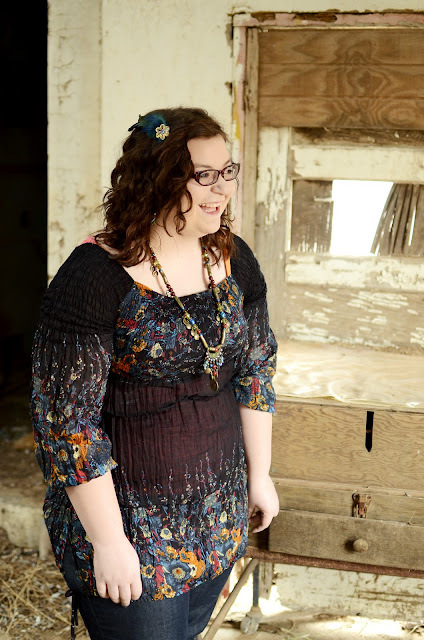 The photo shoot was so fun. Their little one was happy, they were happy, the lighting was perfect, and I was happy because my man came along too. I love it when he joins me on photo shoots! A few minutes into the photo shoot I noticed my right leg started itching. I thought maybe I had gotten into stickers or something. So, I itched my leg a bit and continued on. Towards the end of the photo shoot, I knew I was breaking out in hives all over my body. I tried to stay calm and professional and not scratch. When we told our our sweet clients good bye and drove home, I started scratching violently. It was bad! As soon as we got home, I jumped into the shower and took two Benadryl. Yes, hives had taken over my body; I even had them on my scalp! The next morning I woke up to 40 terrible looking bites on my right leg, and a few on my hands. My right ankle was terribly swollen. We called the nurse hotline to see what to do and it turns out a trip to the emergency room was in order. Long story short, it was fire ants. My right leg is getting better but it has been terribly painful. The doctor couldn't believe that I didn't know I was getting swarmed by fire ants. I was just focused on my clients and getting the perfect shot. Needless to say, on a small scale, my leg looks like a freak show and it has caused a lot of pain. Thankfully, this morning I was able to walk on it without terrible pain and the swelling is finally looking better. I am always a bit clumsy on photo shoots but this is over the top. Oiy! 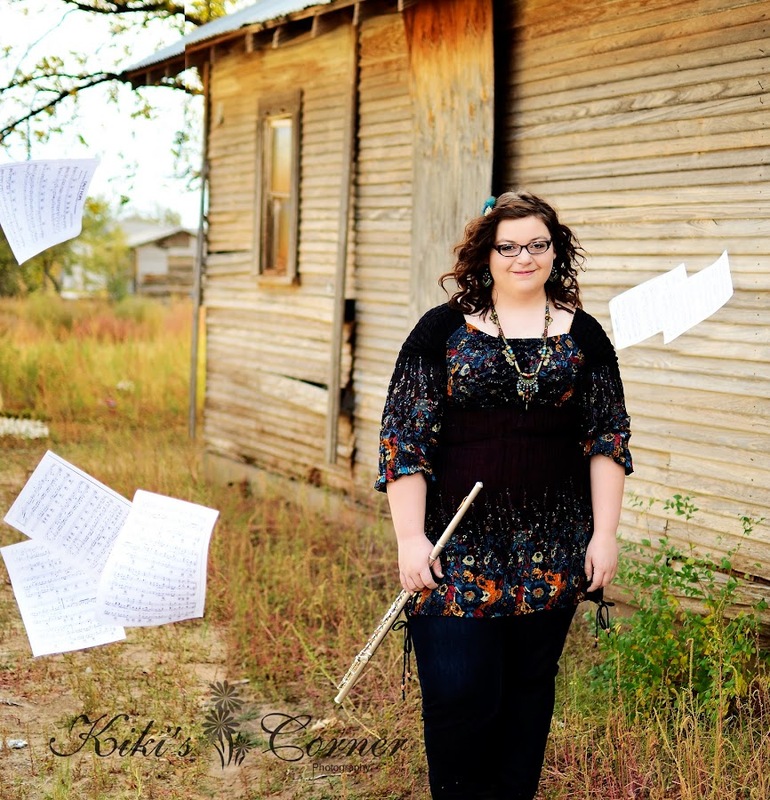 I had the absolute blessing of taking Laci's Senior Personality Photos. 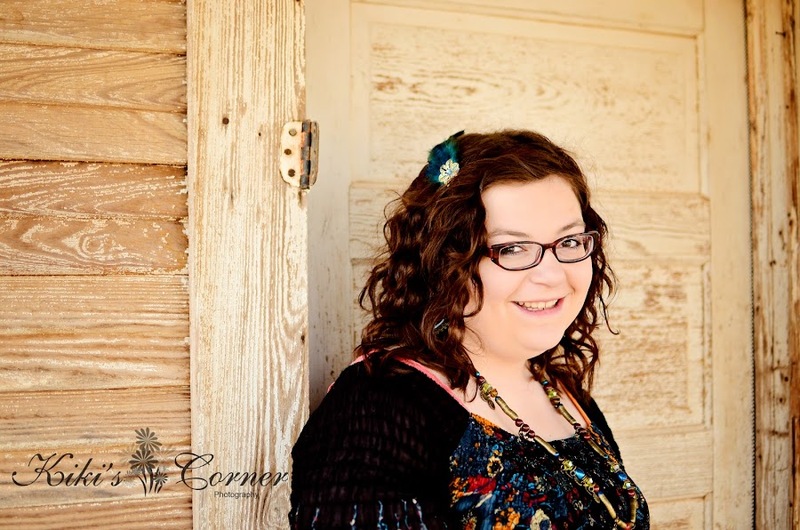 She is one of my students and one of my Senior Editors for the Yearbook. She is fun, quirky, a breath of fresh air, crazy creative, funny, exceptionally smart, a joy to be around, and so much more. I was so thankful that she chose me to take her senior photos. 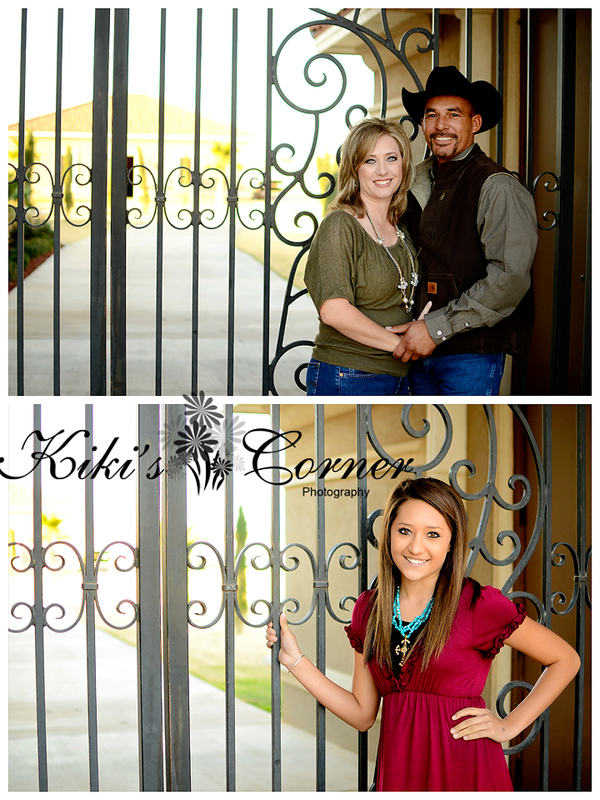 Laci, I had a blast spending Saturday morning with you and your mom. 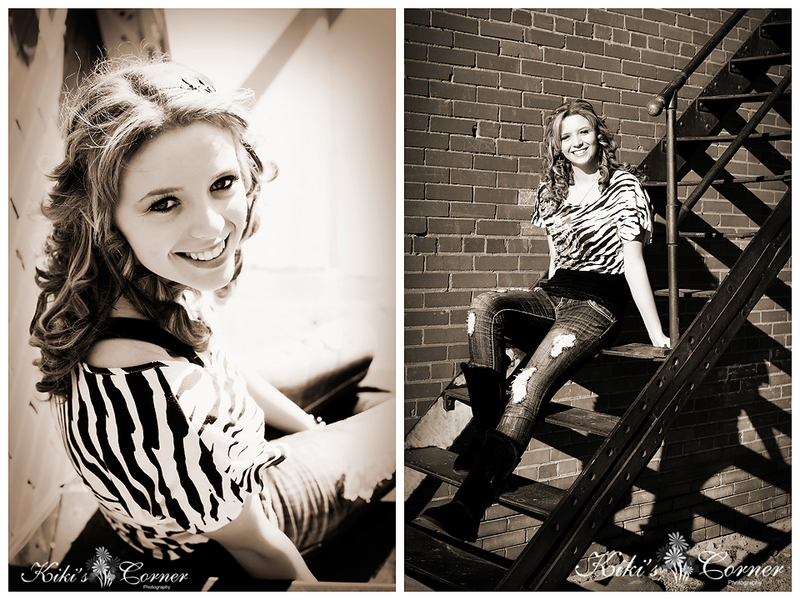 I hope you enjoy your sneak peek and the rest of your senior year!